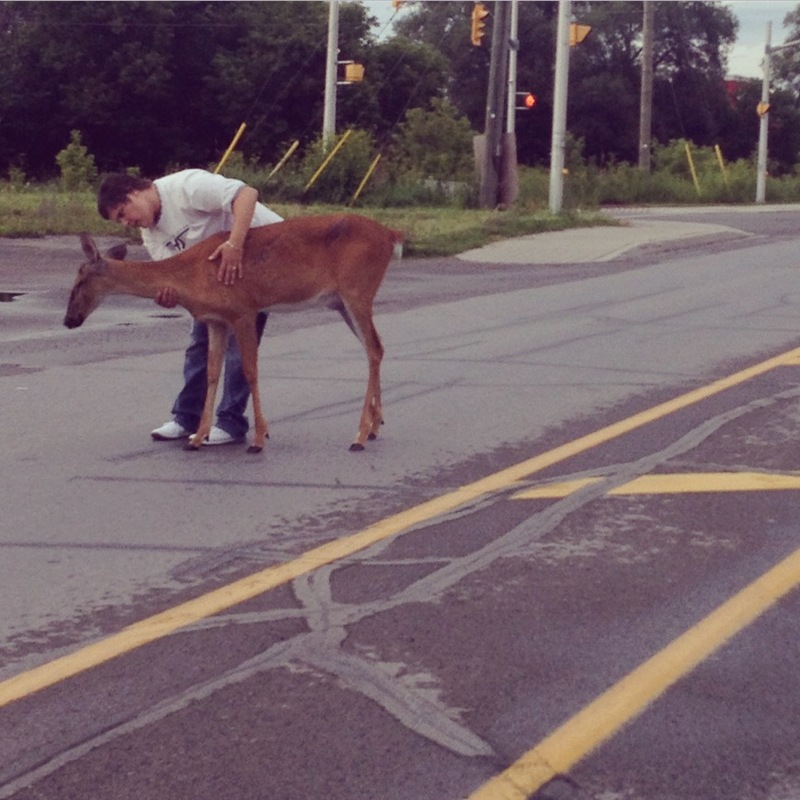 Moments earlier, this deer had been hit by a car in the business area of town. She lay motionless for several minutes, then got up and, dazed, let this man examine her. Yes, there was a tear or two shed.